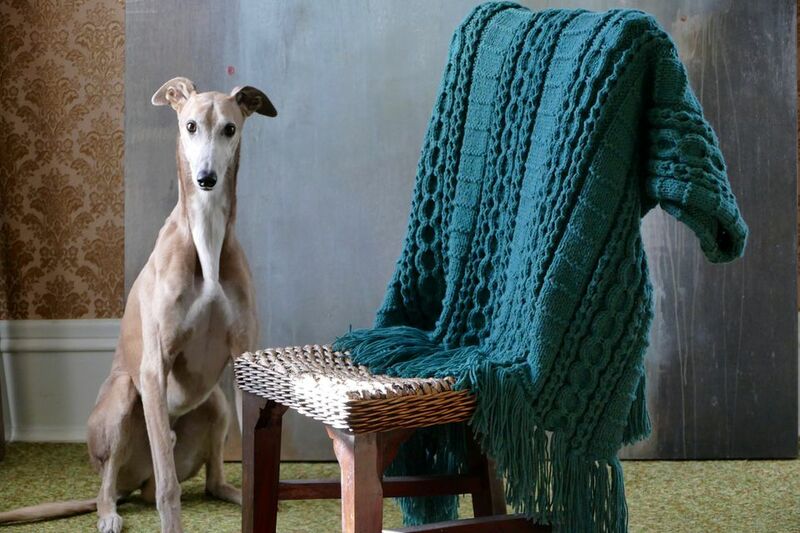 Ripple afghan designs never go out of style. That classic chevron motif may be iconic to certain eras, but by changing the colors and width of the ripples, the design can always be updated to a current look. The best part about crochet ripples is that they are easy to learn. The design is made using very basic crochet stitches, such as single crochet and double crochet. Strategic increases and decreases create the "peaks and valleys" of the ripple, and you can alter how tall and deep those are with your spacing. The ten ripple afghan crochet patterns rounded up here are the cream of the crop; even a beginner can do them and yet they will bowl you over with their striking graphic-appearance. This ripple afghan teaches you the beginner chevron stripe. It is made using double crochet stitches, with an increase or decrease in every fourth stitch. If you are seeking to learn how to crochet ripples, this is the perfect place to start. The alternating color changes are easy to remember, so you will have the hang of the ripple pattern down well before you've completed the blanket. The blanket has a very simple border of single crochet stitches that give a polished edge to the 40" x 40" finished blanket. Rainbow colors are a popular choice for crochet ripple blankets. This example shows us how powerful that choice can be. The colors of the rainbow are not exact, so we get a more grown-up version of the rainbow than a straight ROYGBIV color scheme. This free crochet pattern also comes with suggestions for alternative striping choices to change up the rainbow. In all instances, the colors are made more vivid by the black striping. This is one of the most detailed crochet patterns available for learning to make a classic ripple afghan. The pattern includes more than thirty step-by-step photos across 16 pages, using reader-friendly language to make sure that you understand every tiny step of how to crochet a ripple. It is available with both US and UK crochet instructions. This blanket pattern is designed to be able to create blankets of varying sizes, so you can crochet ripple afghans for babies as well as master bedrooms using this design. The designer shows how to create an optional picot-inspired edge. Combine two classic motifs in one crochet blanket pattern with this design. In addition to the ripple striping, the blanket incorporates the granny stitch. This design element is enhanced with granny squares at the top and bottom of the blanket. Tassels hang off of the ends of the squares, creating a trendy contemporary look. This free crochet pattern is easy to follow thanks to detailed instructions supplemented by photo tutorials. A beginner who has never worked a granny stitch or a ripple will still find it easy to crochet this blanket. The colors chosen by the designer are fresh and bright; play around with them to evoke different moods. There are several ways to add texture to a ripple blanket. One is to work in the back loop only to create a ribbed design. Another is to use post stitches to add texture to both the front and the back of the blanket. That is precisely what happens in this free crochet blanket pattern. You will combine double crochet stitches with front post and back post double crochet for a blanket that feels good every time you touch it. One of the things that some people dislike about a classic ripple blanket is that the chevron shape leaves an uneven edge at the top and bottom of the blanket. This free crochet pattern shows you how to smooth out that edge to create a fully rectangular blanket. This pattern incorporates post stitches for texture. Step-by-step photos simplify crafting. Seven rich colors make it a bold blanket. Colorful stripes are popular for ripple afghan designs, but you can make a really sophisticated blanket with a single color. The ripples are highlighted thanks to the added element of fringe. 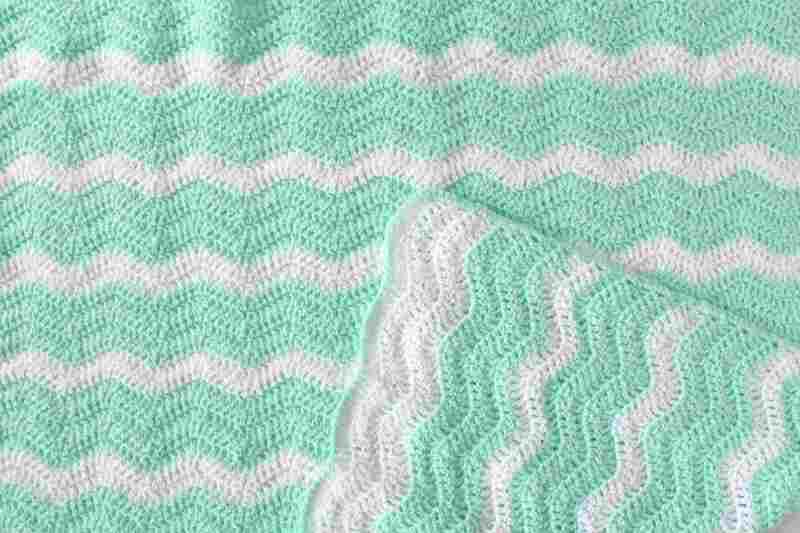 Most crochet ripple blankets follow a basic chevron stitch formula. That's not the case with this one, though, so you can choose this pattern to learn a different way of making ripples. This one relies on changing stitch height to create the undulations of the design. This blanket was inspired by Latin culture and the many colors represented there. There are color changes with each row. The pattern shows you to carry the yarn up the sides to prevent having to weave in a million ends. Although the ripple afghan is typically worked in rows, it certainly doesn't have to be. The round ripple is another popular design, perfect for people who prefer starting in the middle of a blanket and working their way out. There are many variations on a round ripple; this is a classic 12-point round ripple. This blanket is designed in three sizes from car seat to toddler blanket. However, you can continue the pattern on your own to keep growing the blanket outwards to any desired larger size. Do something really different with the basic ripple when you choose this crochet blanket pattern. Instead of working a long ripple all the way across, shorter ripples are worked vertically to create panels that look fence-like. A design of cats is added to sit on top of that fence. The crochet pattern includes photos and helpful tips, as well as a color sheet to help crafters select the color pattern that will work best for their own design.